Market-based competition is usually the primary incentive for most industries but that’s not the case when it comes to healthcare nowadays. Can we trust the government to oversee the quality, cost and access to healthcare? They have mistakenly doled out that responsibility since 1965 to the Joint Commission, a consultant firm immune from paying taxes. The JC today is an over-sized conglomeration that’s become the end-all in determining the excellence and value of our hospitals at home and abroad. They hold the key to a bank turning over nearly $4 trillion dollars a year, according to the Deloitte Center for Health Solutions as reported in Forbes. Where will this speeding train stop? The catbird seat to this slaughter is held by the JC. They operate in virtual secrecy and are now reaching further into profiting from international healthcare. The government looks the other way. Why? Who are they? Like most people, I had never heard of the Joint Commission until 2006. They are a little known complex group of 501 (c)(3) tax-exempt organizations based in Illinois. Obtaining a (c)(3) tax exemption status requires the entity to be a charity, religious or educational organization. They are required to give something to society which offsets, in the eyes of the government, their obligation to pay taxes. A history of the JC follows below, but basically they are a hospital accreditation organization with origins going back to 1910. Today, they accredit healthcare facilities in order for them to be eligible to receive Medicare and Medicaid benefits, income vital to the financial viability of medical institutions. I got to know the Joint Commission (JC) and one of their divisions, the Joint Commission International (JCI), firsthand while investigating the highly suspicious death of my 23-year-old son at one of their foreign accredited hospitals, Bumrungrad International Hospital in Bangkok, Thailand. After exploring, with utter futility, ways of holding Bumrungrad Hospital responsible, I mistakenly turned to their US-based accrediting body, the JCI. What I encountered was happy talk and absolutely no response to an investigation which they supposedly had conducted in this sentinel event: the death of my son which I am informed and believe is the result of foul play. This shocking treatment was hardly what I had expected. The arrogant and condescending treatment I received ran completely contrary to their written and publicized promise to promote patient safety worldwide. As I dug deeper, the story became more sordid than I could have ever imagined. This relatively unknown entity, the JC, was empowered by Congress in 1965 under the Medicare Act to “deem” hospitals worthy of receiving Medicare funds, revenue which now accounts for 50 percent or more of the income received for hospitals in the US and its territories. The JC was also given significant power to revoke accreditation, sanction healthcare organizations and even suspend their accreditation, which is a virtual death blow to any institution. These policing powers were given by Congress to the JC, a private company, exclusively, in 1965 and with the force of law, giving teeth to this tax-exempt organization. Yet, less than one-tenth of one percent of JC accredited hospitals (now more than 20,500) has ever had their accreditation revoked. The JC would rather take their yearly fees, consulting fees, survey fees and a Chinese menu of other fees than cut off the JC’s revenue flows. In a very real sense, since 1965 they have broken the very law which put them on the map. They have the power of law behind them as a quasi-government organization and have systematically grown into a behemoth that continues to capriciously abuse their power. As Harold Bressler, the JC’s General Counsel, told me in 2007 when I asked him why they failed to police the international entities they deem he said, “We’re not set up to do that!” I reminded him that it was a requirement under the law by which they operate. His answer: silence. The JC was given the right to charge for their services with their fee structures established by the Department of Health, Education and Welfare (HEW), now the Department of Health and Human Services (HHS). Over the years as the healthcare industry grew in power, these fees which have been essentially secreted, have grown into a fabulously lucrative empire supported by the fear of God that a non-compliant hospital would lose Medicare benefits and hence be destroyed. Their accreditation is worth trillions to the facilities they empower. Greed without end! The JC has now gone global under the JCI, appearing to “deem” hospitals as being similar to those they accredit in the US. This is a fraud and a hoax which leads the world public to believe that hospitals in other countries carrying JCI accreditation have been certified by the US Government. The JC and its many tentacle organizations have done nothing to clarify this illusion, leaving the public, here and abroad, believing that JCI accredited hospitals abide by the same ethics and standards of the JC accredited US hospitals and are subject to the same accountability for compliance. Nothing could be further from the truth. What follows here and in several subsequent articles to come is a deep dive into how they pull off this masquerade. 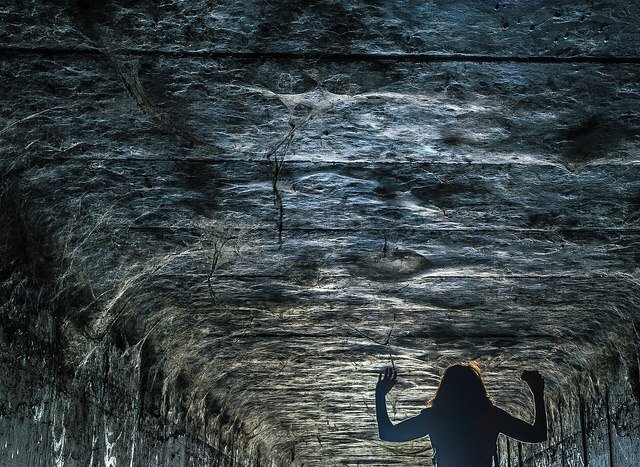 Exposing the entire spider web in one article would be overwhelming but rest assured, if you follow the unraveling of this tightly woven cabal, at the end you will have a view into an unrivaled deception and corruption scheme which profoundly affects you and the world public. Reading this website and my book, The American Medical Money Machine, is a good start in seeing how this fantastic trick has been opaquely pulled over the eyes of the people. At the top of the pyramid is the federal Department of Health and Human Services (HHS). Most of the federal agencies that regulate American healthcare are housed here. This is an enormous bureaucratic structure with a dozen operating divisions. In 1910, an altruistic group of physicians formed the American College of Surgeons (ACS) and by 1917 they were conducting onsite inspections of hospitals. An 18-page standards manual was published in 1926 from their headquarters in Chicago, Illinois. Now fast forward to 1950. The ACS joins forces with four other associations: The American College of Physicians (ACP), the American Hospital Association (AHA), the American Medical Association (AMA) and the Canadian Medical Association (CMA) to create the Joint Commission on Accreditation of Hospitals (JCAH). The newly fashioned JCAH is formed as a 501(c)(3) non-profit organization. Mind you, these four associations are still in operation today and so is the ACS (in 1959, the CMA withdrew as a corporate member to form their own Canadian accrediting organization). So why form the JC? The ACS already had a standardization program, but by 1952, they transferred it exclusively to the JC. The government steps into the picture in 1965 with the Medicare Act (an amendment to the Social Security Act). In that, Congress makes a provision that it’s only JCAH-accredited hospitals that will be deemed to be compliant (the Osteopathic Association was also given deeming authority for their hospitals which represent only a small fraction of healthcare facilities in the US). JC accreditation is now the primary prerequisite for receiving payments from Medicare and Medicaid. No accreditation, no reimbursement for the hospitals. The JC became the leading accrediting authority whose purpose has become the collection of a constant stream of fees from hospitals and other healthcare-type organizations. Accreditation is, and always has been, voluntary but with the 1965 Medicare Act, hospitals will not be paid for treating Medicare or Medicaid patients without it. Private insurance companies quickly followed suit by cutting off any medical facilities that are not JC accredited. There are exceptions, but they amount to squat. Hence, the Joint Commission holds the power of the purse. They remain the judge and jury. They are in the business of selling PROTECTION. Their beautiful prose says that their primary interest is patient safety and hospital education. But any reasonable person examining the JC’s tax returns can see that they are hardly a charitable institution deserving 501 (c)(3) tax exemption. In 1972, another amendment to the Social Security Act required that HHS validate all JC findings and report them annually to Congress, but this was inserted only after lawsuits were brought by several consumer groups that expressed dissatisfaction with using JC accreditation as conclusive evidence of acceptable quality in hospitals (read this law article: Medicare and the Joint Commission on Accreditation of Healthcare Organizations: A Healthy Relationship?). By 1973, the JC claimed to shift their focus from buildings, policies and administrative structures to patients and their actual care. But they are still heavily invested in providing commissioning for the construction of healthcare facilities prior to taking ownership of a building as well as accrediting freestanding laboratories, and every standard is defined by the JC. Over the next forty years, the JC becomes one of the most bloated non-profits in the country, headquartered in Oakbrook Terrace, Illinois, a planned city originally named Utopia. The number of accrediting programs they’ve established to glean more fees is far reaching, from nursing homes to rehabs and from ambulatory care to imaging centers covering more than 20,500 US healthcare companies. Their maze of operating arms is so extensive they continually reorganize in order to shuffle money between tax-exempt entities. 1986: Quality Healthcare Resources (QHR) is formed as non-profit consulting subsidiary of the JCAH. 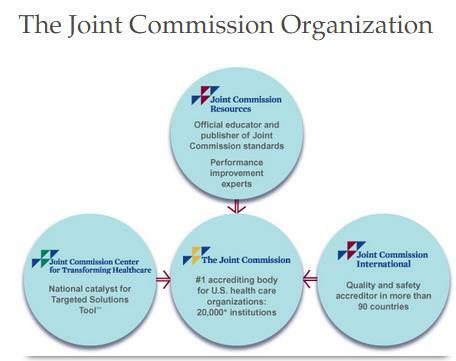 1998: The Joint Commission International is formed as a division of the new subsidiary JCR. The ACS becomes the JCAH which becomes the JCAHO. QHR (EIN #: 36-3673595) becomes the JCR which forms the JCI. The JCR identifies itself as a consultant and not as a public regulatory program. Then why should they be operating as a non-profit? Because the JC plays a major role in setting government regulatory programs and the Feds rely with virtual exclusivity on JC accreditation when it comes to payments for Medicare. What’s the reason for separate EINs and why is the JCI a DBA of the JCR? Perhaps they believe it’s a clever way to spread out salary and stock option compensation for their “Commissioners.” There will be more about those elite folks in a future post. Play ball and get a gold star! In 2003, the JC created a “Gold Seal of Approval” used by hospitals as a coveted endorsement. In the US, once that seal is hanging, hospitals only have to worry about random verification inspections from state agencies, and those are only triggered if there are substantial complaints or sentinel incidents. There’s a Gold Seal for the JCI, too, that looks nearly identical with a promise that you’ll receive world-class healthcare when visiting a JCI International accredited hospital. This is a fraud, a hoax and a sham. The JCI accreditation is solely voluntary and its purpose, I am informed and believe, is to generate enormous sums from hospitals around the world wishing to appear as though they are “endorsed” by a US government agency. A major issue which deliberately confuses the public is the use of virtually the same logo, names and seal for each of the JC tentacles. The implication for the JCI is that it appears to be equivalent to the JC accreditation. It is misleading; the use of the logo and seal are without explanation when used internationally. It’s intended to mislead the world population that JCI accreditation of foreign hospitals carries with it the weight and approval of the US Government. It does not. Foreign accreditation requires no accountability or compliance with the “rule book” that the JCI sells to foreign hospitals, for which they pay handsomely. The JCI is as happy as a pig in mud. They’ve sold something which is virtually meaningless… and the profit margins from these sales are extraordinary. My son died at Bumrungrad in 2006. At that time, there were approximately 200 foreign hospitals that had been JCI “accredited”. As of this writing, they’re up to 751. I believe that that the organizational structure of the JCR and the JCI, organizations that never received Congressional approval to “deem” hospitals anywhere is a whole massive mess—a house of cards built on quicksand and poised to collapse. The JC and its divisions have no desire to make any of this clear to the public. It’s quite the opposite. They want you to believe that all is well and that the US has thoroughly qualified and is overseeing these international institutions when they are not. Recently, leading private hospitals in Mexico and Costa Rica have been awarded full accreditation by the US-based Joint Commission International (JCI), the same agency that accredits hospitals like Johns Hopkins, Cleveland Clinic, and Mayo here in the US. No, it’s NOT the same agency! Foreign hospitals long for JCI accreditation because they believe that enormous amounts of money will pour into their countries for medical care and a trip to the beach! What’s more, American insurance companies will only pay foreign hospitals benefits if they carry JCI’s seal. This is great for the insurance companies who only pay a fraction for benefits received abroad but collect the same premiums as in the US. Patients, unwittingly, walk into a situation in which if there is malpractice or wrong doing, they have no recourse in US courts since the US has no jurisdiction abroad. In this eventuality, one is stuck, as a foreigner, trying to get justice for medical wrongdoing. Instead, patients and families have to rely on the local governments to find answers and provide solutions. However, many of these countries are known to be corrupt and their legal systems are arbitrary (if non-existent). As a foreigner, you are at a significant disadvantage. The US government will not assist in these matters and there are no international treaties which cover injured US citizens, or patients from any country for that matter, when they receive medical care abroad. Even more abysmal, the JCI will offer no help in favor of protecting their foreign generated revenue streams. I found this out the hard way. By being virtually immune from prosecution, these foreign institutions accredited by the JCI render no help or explanation. Why should they? Every state already has mechanisms for certifications of hospitals but state agencies bow to the JC, even incorporating JC standards and accreditation decisions into their licensing programs. And some states say if you have JC accreditation, then you, de facto, meet state licensing requirements. The slacking off is evident throughout these systems, and the JC sails on, enjoying tax-free status without any accountability. Long gone are the days when hospitals were true charitable institutions, places that provided housing, nurture and healthcare for the poor and often without charge to patients. Up until the turn of the 20th century, the middle class and more affluent population received medical care—including surgeries—in the privacy of their own homes with doctors who had often been treating the household for years. It was considered improper to send a family member into an institution. In 1873 the country had 178 hospitals. Thirty-six years later, there were 4359. The rapid growth in hospitals changed the practice of medicine. There was a need for those early altruistic surgeons and their attempts to standardize hospital care. But the ACS—who started with a $30,000 grant from the Carnegie Foundation in 1916—has turned into a colossal system enjoying a tax-free ride. There are clear indications that the JC’s activities, given all of their subsidiary arms and redundancies, are serving a private interest, not a public one. It’s time to revoke their tax exempt status. It’s time that the Justice Department prosecutes the JC executives for fraud and endangering the lives of patients, here and abroad. A petition will be set up and circulating soon calling for revocation of the tax-exempt status of the JCR, the JCHO and the JC Center for Transforming Healthcare. I hope you will join us in calling for an end to this charade.